German goalkeeper Bernd Leno is expected to become Arsenal's second major signing of the summer after the club agreed to meet Bayer Leverkusen's €25m valuation, according to reports in Germany. Arsenal have been heavily linked with a number of shot-stoppers ahead of the summer transfer window, ranging from Atlético Madrid star Jan Oblak to Stoke City's Jack Butland. But it now appears that the club have identified their number one target, with Arsenal's head of recruitment Sven Mislintat once again looking to the ​Bundesliga for a key signing. German outlet Sport Bild have reported how the 26-year-old goalkeeper is 'expected' to join Arsenal this summer. 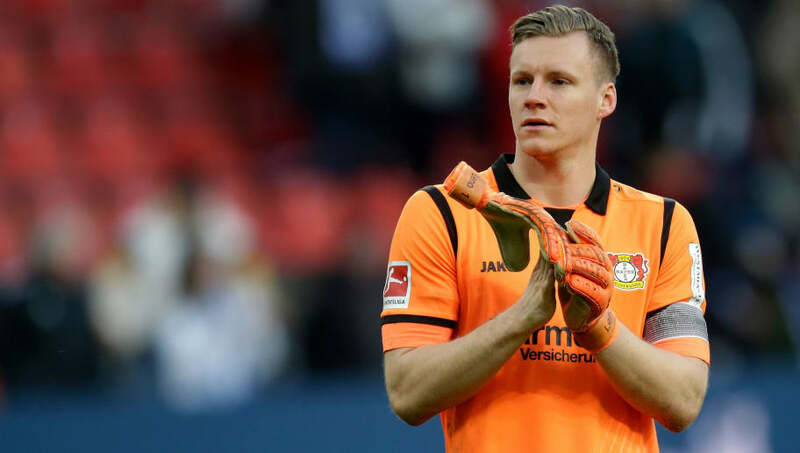 Leno has just two years left on his contract at the BayArena, and now faces competition for a first-team place from Czech goalkeeper Lukas Hradecky. The move is largely being met with mixed emotions from fans on social media. The former Stuttgart goalkeeper has seen a lot of praise come his way from the majority of Arsenal fans, but supporters back in Germany are warning the Gunners not to get their hopes up - Leno is prone to the occasional high-profile error. Although a deal to bring Leno to the Emirates is believed to be very close, announcing the signing could be held off until July. Borussia Dortmund defender Sokratis Papastathopoulos is also expected to have his move to Arsenal finalised next month. Along with Leno and Sokratis, as well as the club's first signing Stephan Lichtsteiner, new manager Unai Emery could also have a combative midfielder join his ranks this summer. It has been claimed that Arsenal have agreed on a fee with Italian side Sampdoria for the transfer of Uruguay international Lucas Torreira, who is set to feature for La Celeste at the World Cup this summer.